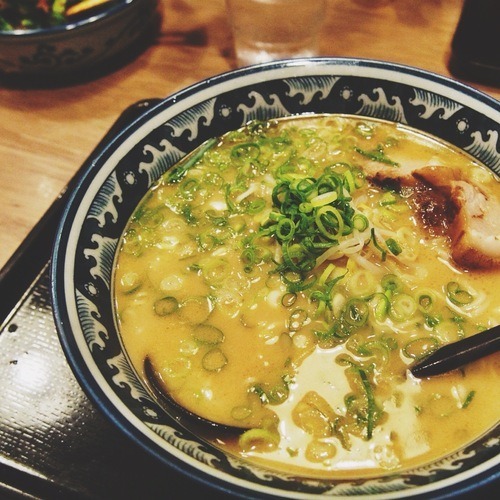 Eats: Japan 2014 | Happiness, etc. If there’s anything that is most memorable that happened to me this year, it’s my first trip to Japan. Japan was really more than what I expected. The food, the culture, the places and the people are worth all the excitement. I didn’t want to leave! I will be listing down the things that I love about Japan and why I think it’s one of the most beautiful countries in the world. Seriously, though. If I wasn’t born Filipino, I’d wish to born Japanese. Haha! 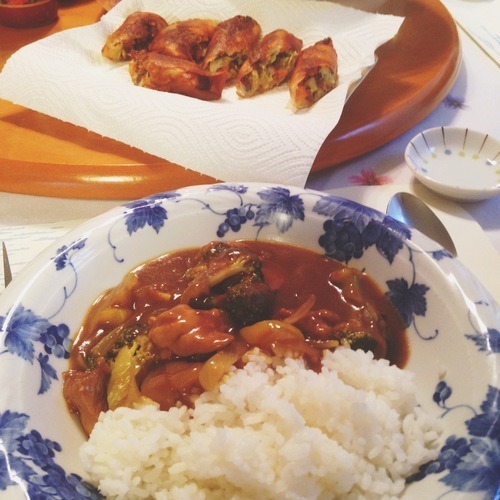 I’ll be starting this Japan series with a food post. If you follow me on Instagram, I’m sure you’ve seen how much food photos I’ve posted already. I know it’s bad, but eating is basically the thing that I look forward to the most everyday. Huuu. (#thisiswhyimfat) Anthony Bourdain, I want your job. ;-; Kidding aside, here are some photos of the Japanese food that I was itching to try. Yay! 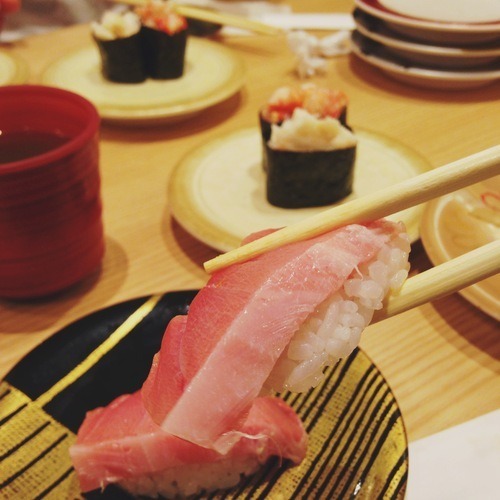 Ganko Sushi is one of the cheaper (but good) places to eat sushi in Japan. It’s a chain restaurant so I’m sure you’ll see a couple of them when you visit. 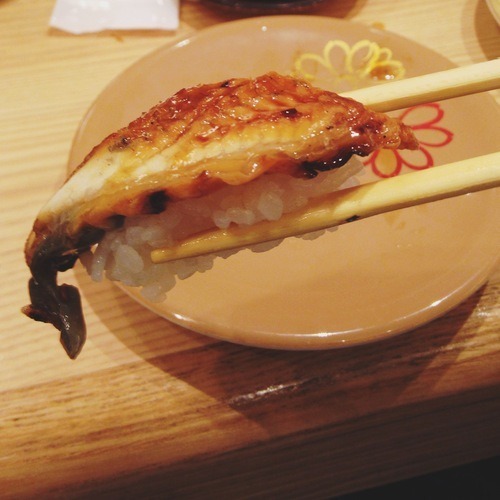 Unagi and toro <3 The quality and the freshness of the fish in Japan is in a whole different level! 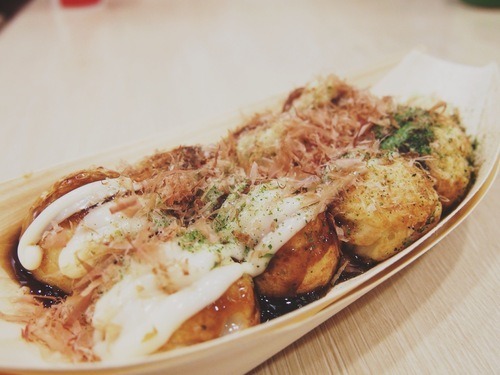 When in Osaka, eat takoyaki! With REAL OCTOPUS! LOL. And of course, RAMEN! People say it’s not authentic if it’s not in Japan. I noticed how it’s not as oily as the ones here in Manila. 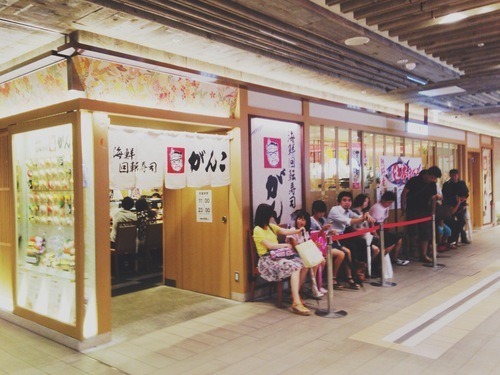 Any ramen place in Japan is awesome. Knocked myself out. JAPANESE CURRY and guess what? HOMEMADE! If you watch too much animes like I do, this is definitely one of the things that you’d really want to try and it’s *sparkly eyes* worth it. Donburi is the most popular comfort food in Japan. 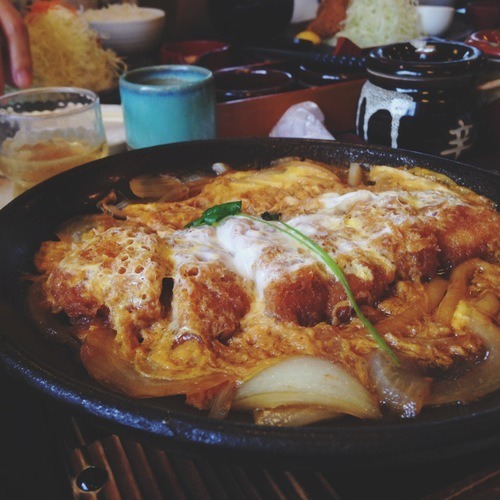 My favorite is gyudon but since we were in a katsu place, I ordered this katsudon. Huu. Heavenly. Almost everything is different in Japan., including this cheesecake that I got from a local ranch. The milk used for this cheesecake was from that ranch. 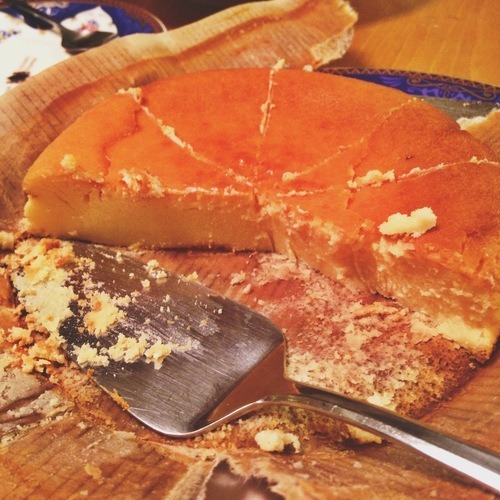 Can I just say, it’s the most delicious cheesecake that I’ve ever had in my life? It’s not sweet. It’s more of cheesey but with the usual cheesecake consistency. I will find this when I come back! Grr. 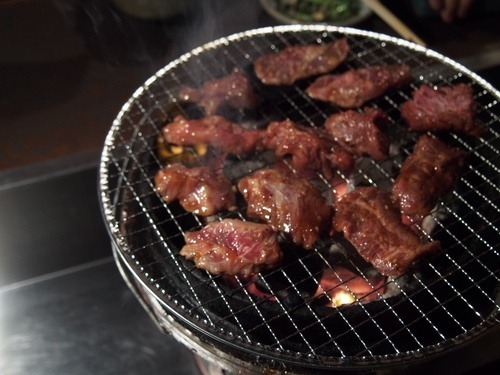 Japanese barbecue or Yakiniku! Yum! 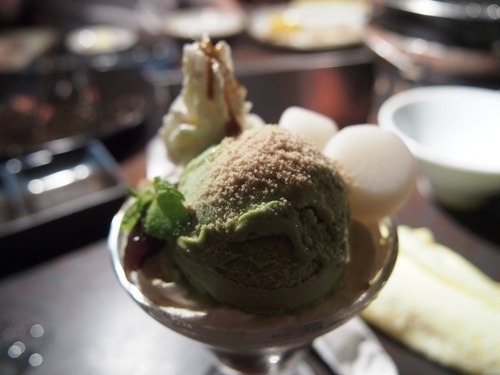 All desserts in Japan are good, especially ice cream! I had to stop and take a picture of this one because of the amazing presentation. So good! Only Japan serves soft serve ice cream in unique flavors! This one’s wasabi-flavored. 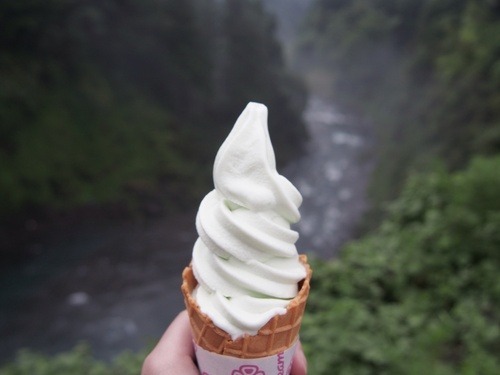 Devoured it by the Shiraito Falls. How awesome is that?